Hi to all the folks from HackedGadgets, I have no idea why I got featured, but I suppose that’s enough to get me to stop being lazy and actually post an update. 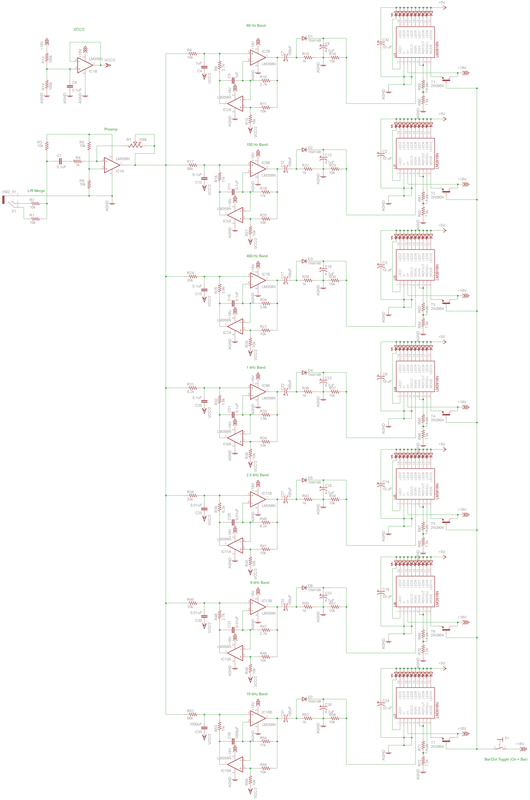 Here is the schematic for the most part, done in Eagle, but it throws a ton of ERC errors, so its not ready yet. I’m also waiting to try out some LM/NE5523/24 opamps to act as the preamp to the entire circuit since the LM358’s flat-out fail at giving a strong enough signal for the bandpass filters to work. Below is the schematic, in rough form, at this point I’m mostly holding out to get the supplies to etch my own boards and figure out a decent preamp. Ontop of that I might replace the Vcc/2 stage (built from an opamp) with a separate regulator, I’m planning to power this thing from a 18V 1A brick power supply, so a 7809 would do just fine for a Vcc/2 without worrying about taking too much power, however for breadboarding purposes it seemed easier to make a Vcc/2 out of the unused opamp instead of an entire regulator. 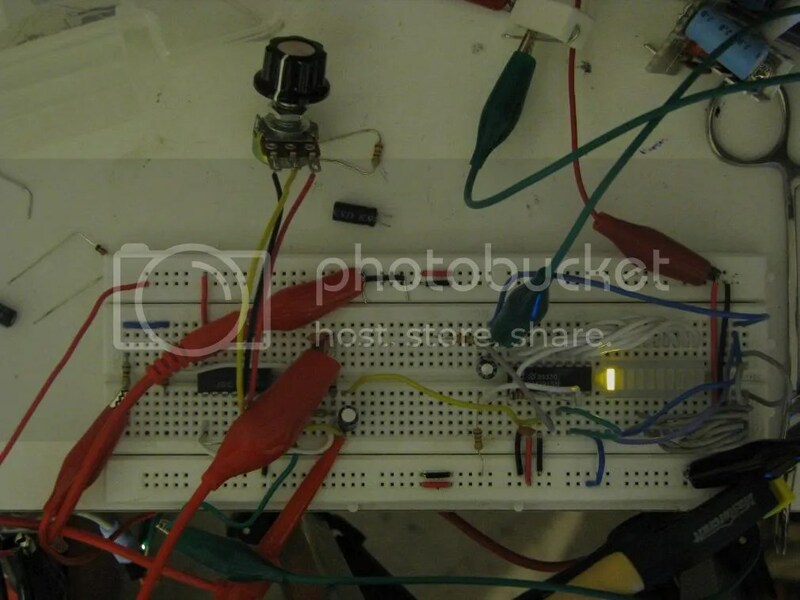 Another excuse I have for not working on the spectrum analyzer was making a power supply out of an old UPS, I’ll get around to posting photos another day, right now though its 2am so this post may not be highly coherent. Well, I received parts today from Digikey and put together my first bandpass filter at 60 Hz, the video outlines just about everything, starting with a brief explanation, test with a song, then test with a frequency generator. Also, the schematic is mostly done however I’m holding off on releasing it until I find a better way to give this a pre-amp. The LM358 used for a bandpass filter seems to require a heck of input voltage in order to give any output, and likely I would need to preamp each band individually, thus the schematic would get more complicated. Ok, enough with the wall of text, video time. 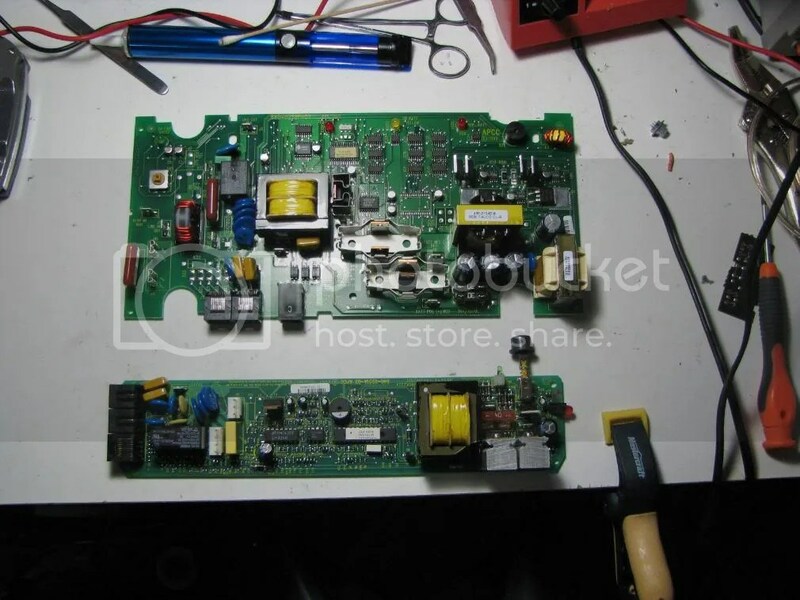 Well here is a two parter for my readers, first off I came across a old audio amplifier and a pair of UPS’s whose batteries were dead (inverters were fine but batteries were worth 90% of original cost! ), so I pulled out the old soldering iron and went at it. I have fewer pictures this time, but the end result of the amplifier was a tray of capacitors and some higher power resistors plus a few other bits. As for the UPS’s, they were APC backUPS 350 and 500 VA models, the power bar/brick model from a few years back. Both of them had failed batteries and unfortunately due to the way the economy works, like inkjet printers, refills and supplies cost more than a new one. I originally bought these on special, so the batteries would cost more than the UPS. 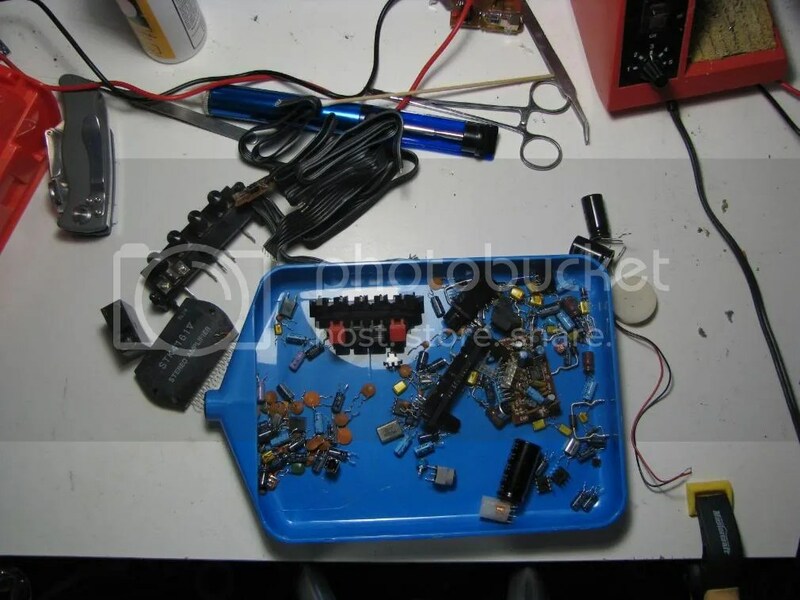 The end result was a pile of IRF640 and IRFZ48 mosfets, some caps and a few transformers as well as the dead batteries (which I did try to recondition before I wrote these off). 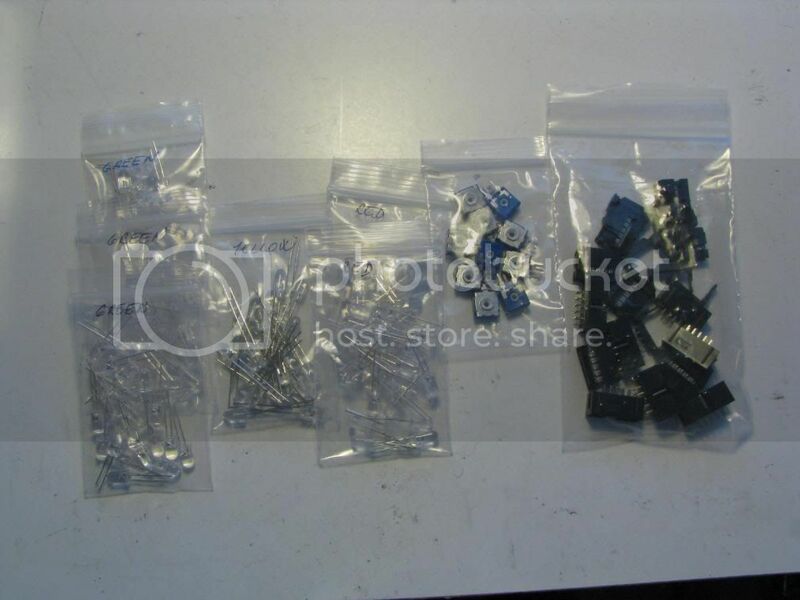 And another quick update, some parts for my spectrum analyzer arrived, a large pile of LED’s, some trim pots, and connectors to use. The major shipment with digikey won’t ship until the most important (and therefore the only backordered part) LM3915’s arrive to their distribution warehouse. 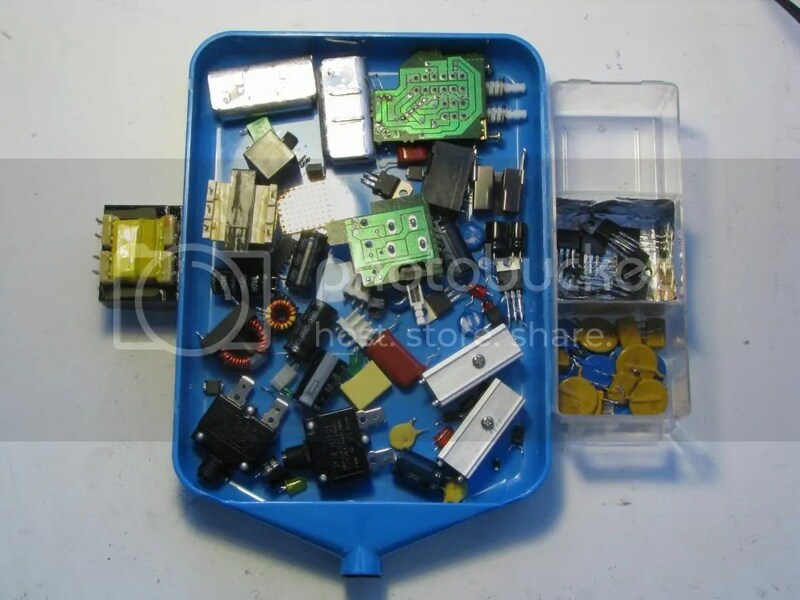 The shipment contains a ton of other parts such as 2n3055 transistors (and higher power counterparts) for a simple flyback driver, some IRFP450 mosfets for a ZVS flyback driver, and other goodies. While preliminary, I have schematics mostly drawn up for a LM3915 based spectrum analyzer using Fliege bandpass filters to give me bands at 60Hz, 150Hz, 400Hz, 1kHz, 2.5kHz, 6kHz, and 15kHz. At this point, digikey seems to have run out of LM3915’s, so in about a week when they recieve some in stock I’ll put my order through (I can’t stand their extra $8 handling fee ontop of a second shipping charge for 7 backordered ICs). I’ll also have schematics finished soon, however last night I threw together a quick opamp + LM3915 circuit just as proof of concept, nothing all too important, but its a start. The song is “Oh What A Night” by Frankie Valli & The 4 Seasons played off of a youtube clip, fed into the circuit. Read the full post if you want the nitty-gritty electronics details.